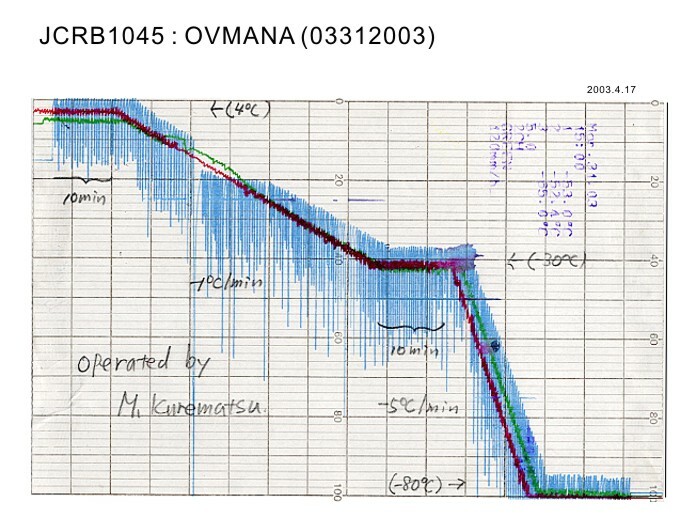 JCRB1045 OVMANA: weak to freeze-thawing. 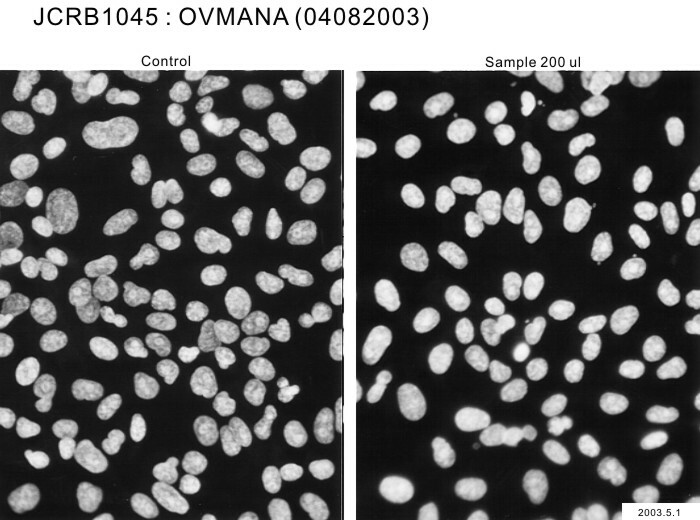 OVMANA cell line is weak to freeze-thawing as the nature of this cell line. 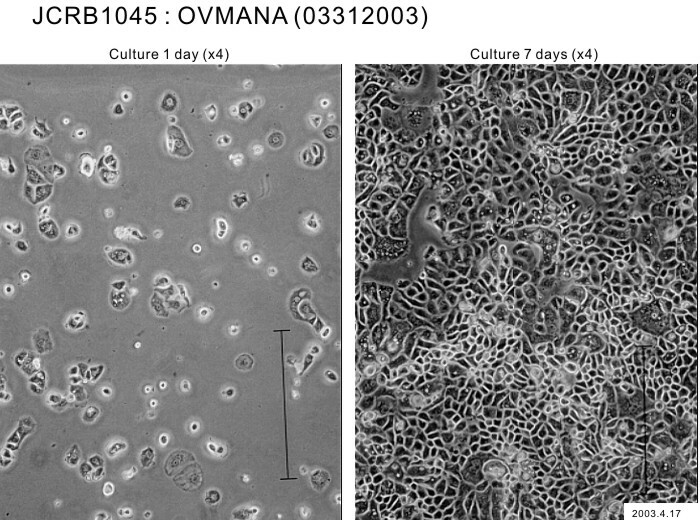 Many floating dead cells will be observed on the next day after thawing. 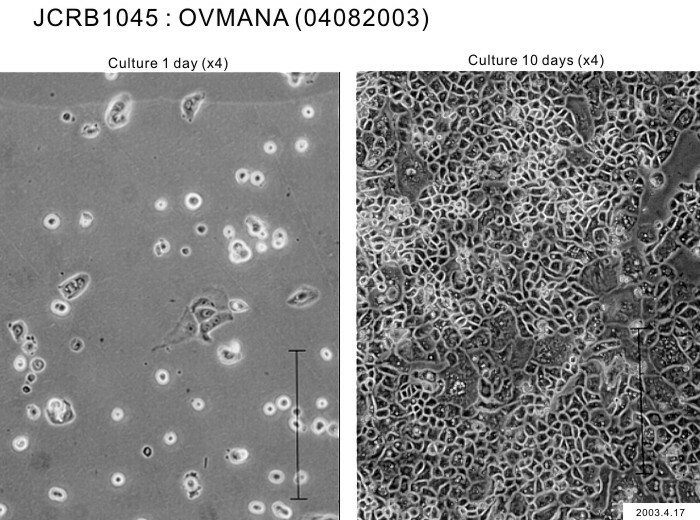 Unfortunately, the cell bank did not found the way to improve the viability after freeze-thawing. 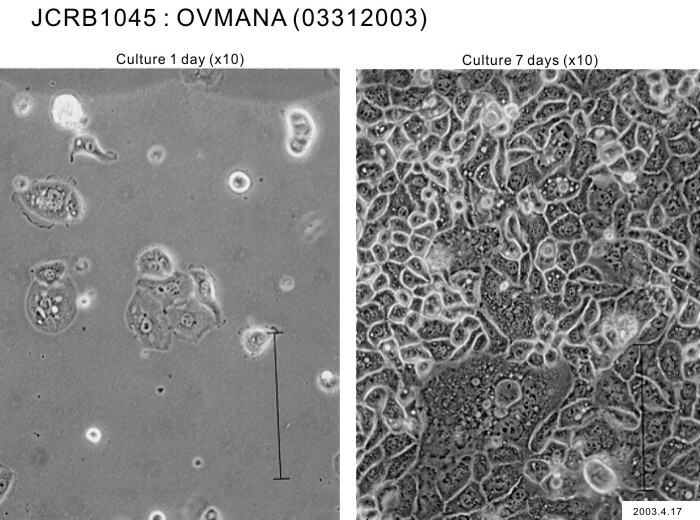 Once attached, the viable cells will grow with doubling time 2-3 days. 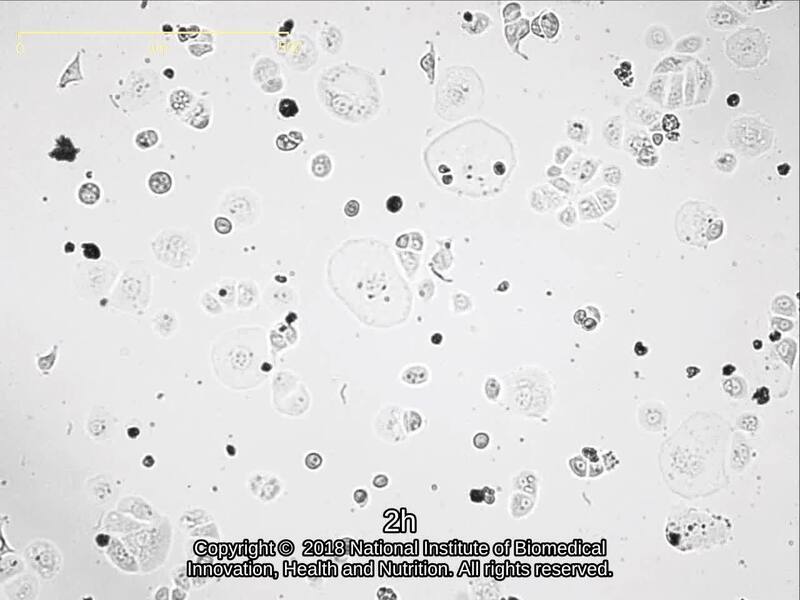 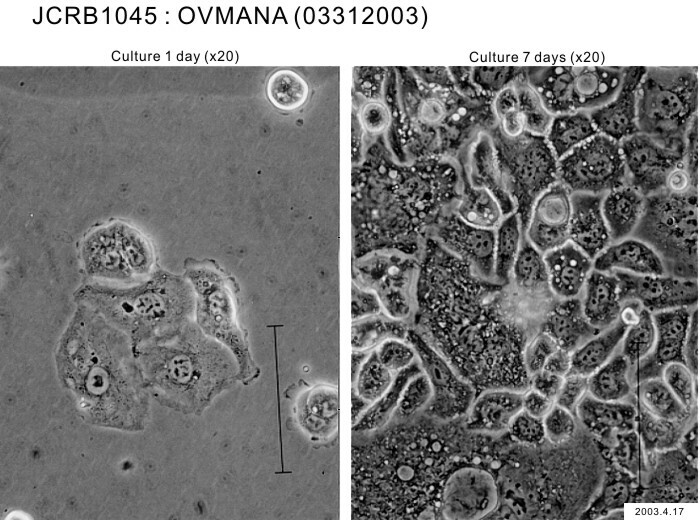 The growth tends to depend on the cell density. 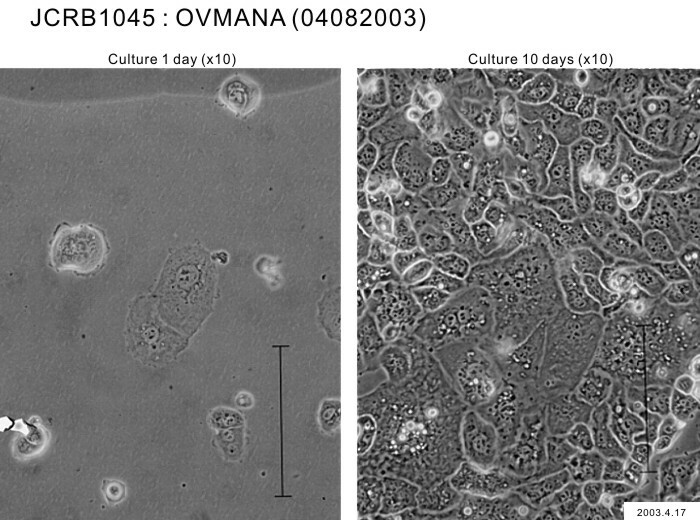 If the growth is poor, please try to replate the cells at higher cell density. 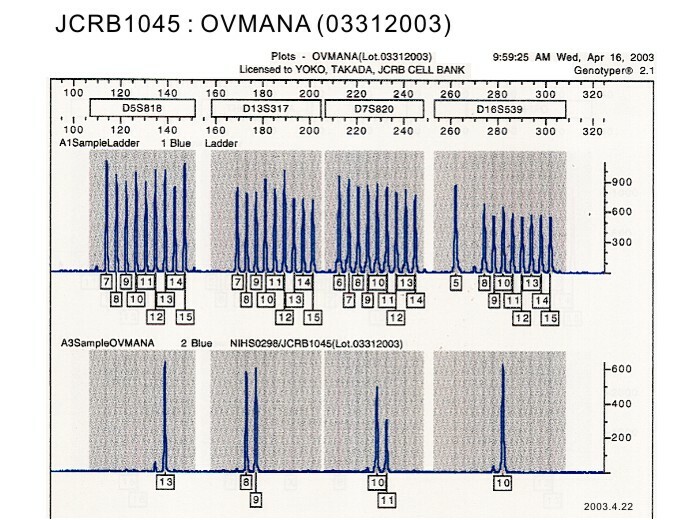 ovarian carcinoma, stage IV, CDDP-IP(3) treatment done previously. 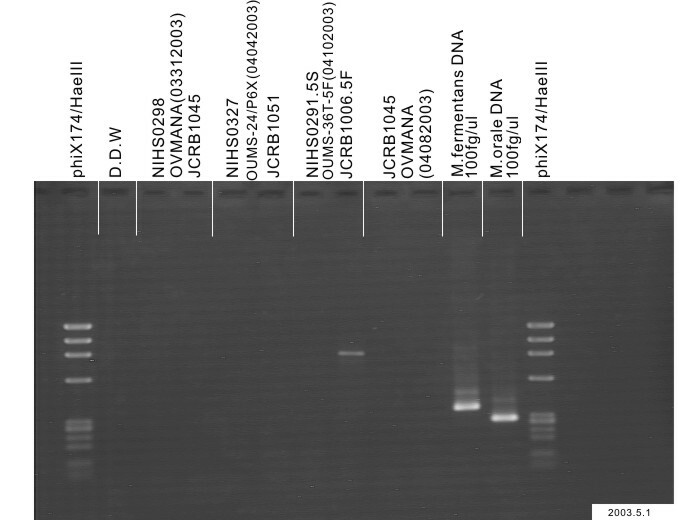 ER(-), PR(-) / tumour markers, CA125, SLX, TPA(o). 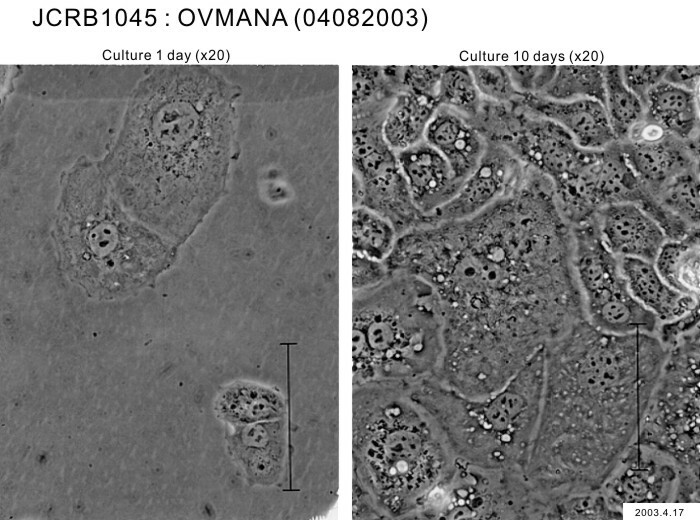 Cells are transplantable to mouse hypodermis but not to abdominal. 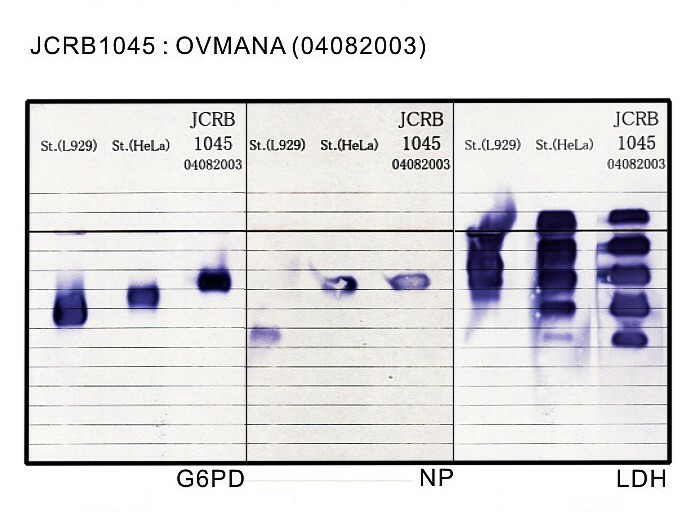 RPMI 1640 medium with 10% fetal bovine serum (FBS lot; GIBCO 484375). 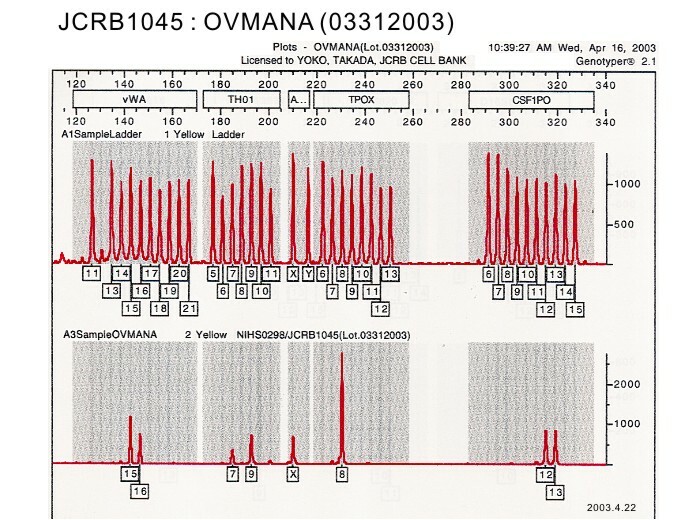 The vial label (OMAMA) is wrong. 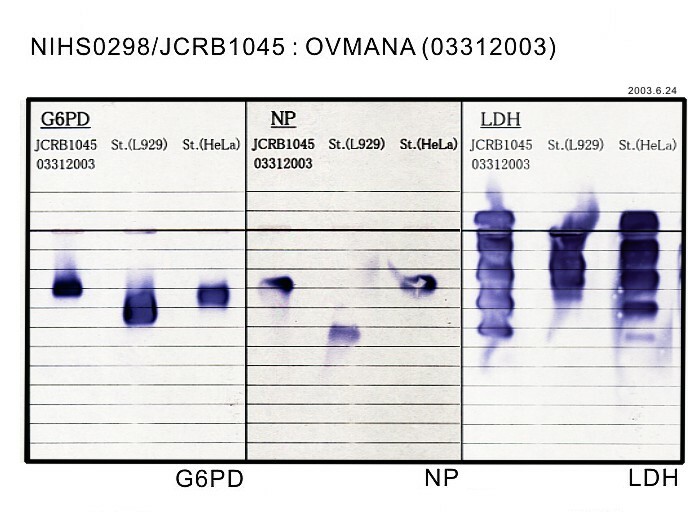 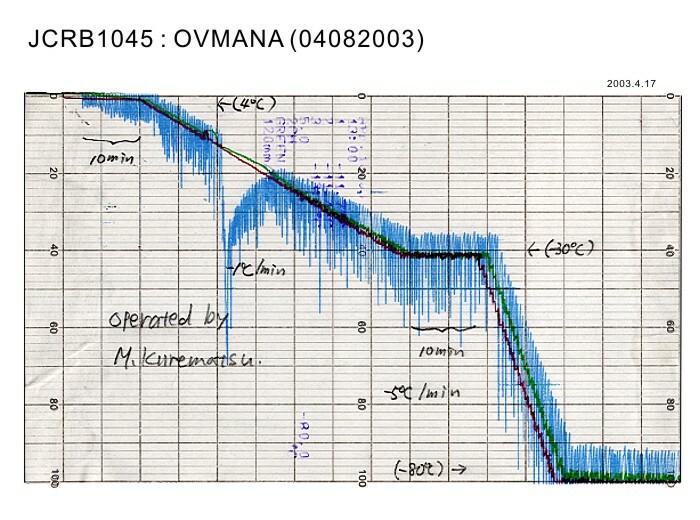 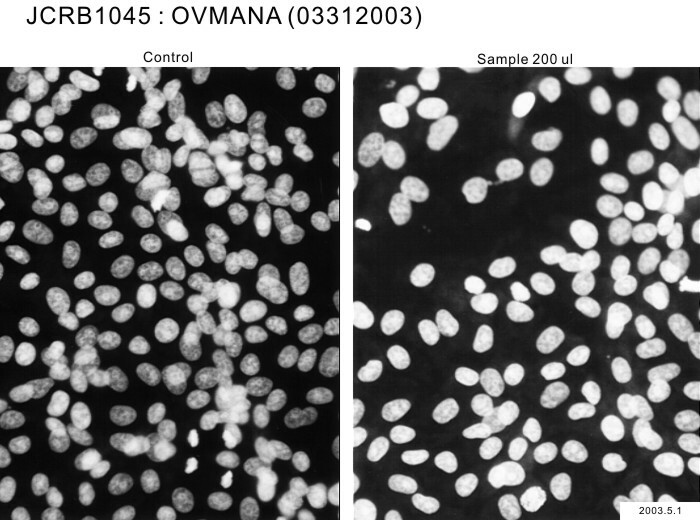 Correct cell line name is OVMANA).